← BABY RABBITS ONE, TWO, THREE, FOUR, FIVE ……….A POST JUST TO SHARE HOW AMAZING NATURE AND GOD IS! Marriage is made up of many different components. I chose the word component deliberately as the dictionary states it is a ‘constituent part or aspect of something more complex” and if something is complex it is made up of various interconnected parts, and believe me when I tell you, that once you are married, your marriage consists entirely of interconnected parts! “For this reason a man will…..be united to his wife, and they will become one flesh” (Genesis 2:24). You cannot get anymore ‘interconnected’ than that. The challenge here, however, is the fact that before you took your marriage vows, you were both two individual beings, with two different upbringings, maybe even different cultures or races and now you are ‘interconnected’. One of the most important ways to stay that way is to COMPROMISE. To compromise means to find a midway point between the two of you that you can both agree on when you have different ideas, and sometimes it means that one or the other of you actually has to yield or concede entirely to a request/need/desire of the spouse. I am speaking now about compromising in the “living together on a daily basis” areas of your marriage. Hopefully, by the time you walked down the aisle and out of the church with your new spouse you had already ‘compromised’ on things like where you were going to worship as a couple, how many children you each want, whether you would agree to take an in-law into your home if the need arose etc. This is why premarital counselling is vital, because it is during these counselling sessions, that those subjects are discussed and debated on, and hopefully solutions that both spouses can live with, are found if there are any major differences. I will give you an example of two (of the many) compromises that my husband and I made in the first months of our marriage. I am the only person I have ever known whose husband brought a tea pot into the marriage! Steve is from Northern Ireland and when he left there in 1990 to come to South Africa, his mother bought him a silver tea pot as a going away gift. For the first time in my life I learnt that there was a whole ritual involved when making a cup of tea. I had always just put a tea bag into a cup, filled the cup up with boiling water, let the tea bag soak a wee while and then taken it out, added some milk and ‘hey presto’ a lovely cup of tea! My husband, however, had never drunk a cup of tea made in that way before. I did this every morning for three months after we got married! At the beginning of the fourth month when I walked into the kitchen to make tea I thought to myself “I am not going to go through this rigmarole for the rest of my life”. I made sure Steve could not see me, put a tea bag into a cup, let it stew for a little while, took it out and added a little milk and then took the cup to my husband. He took three sips, looked at me and said “You made this in the cup. You didn’t use the tea pot”. Now, this is where the compromise came in. I could have decided that a) I was never going to make him a cup of tea again b) I would continue to make it in the cup and he would just have to get used to it or c) I would continue the “rigmarole” of making the tea in a tea pot for the rest of my life. If I had chosen a) or b) it would have caused a lot of friction between Steve and I and would have been an issue every day of our lives. Because I love Steve and because that is the way he likes his tea I made the conscious decision that I would take the extra time, every morning for the rest of my life, to make the tea his way. It was a major compromise for me. Ever since he was a young boy he had rinsed the face/dish cloth out, then squeezed the excess water out of it with one hand and just left it bundled up on the sink/wash basin. This really used to upset me. I mean how on earth is the cloth meant to dry properly if the water is not squeezed out with both hands, the cloth then shaken and laid out on a surface? I could not believe he could not see my point – it was so obvious! Steve decided, that because he loved me and wanted me to be happy, he would compromise and unlearn a habit of a life time to please me EVEN though it made no sense to him. So, if you walk into our home you will see the same silver tea pot sitting on the top of the stove in the kitchen and all the face/dish cloths laid out neatly on various surfaces. We have both been compromising for 22 years now and we don’t even think about it any more! This entry was posted in Marriage, Parenthood and tagged compromising, God, good examples, grace, Love, Relationships. Bookmark the permalink. 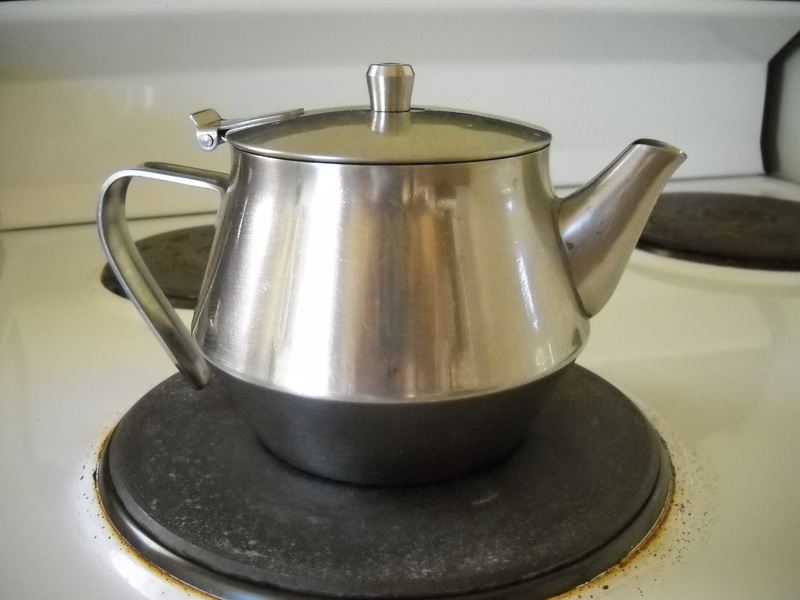 Pingback: MARRIAGE AND A SILVER TEA POT CONTINUED ……… | GROWING INTO MOTHERHOOD!